Volkswagen fans, as well as anyone with a passion of upcycling, is going to love this thrift store Volkswagen dresser transformation! 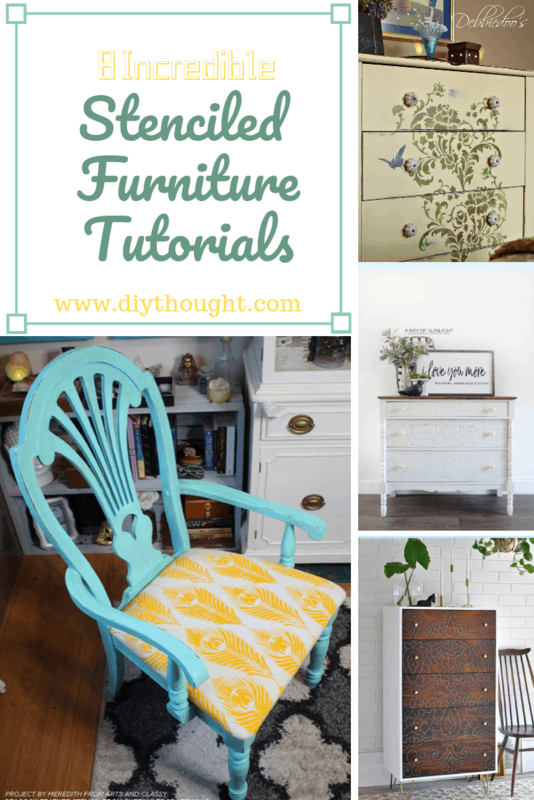 It is a perfect example of what can be done to transform an average thrift store find. This is the work of the very talented Lisa Wayman. 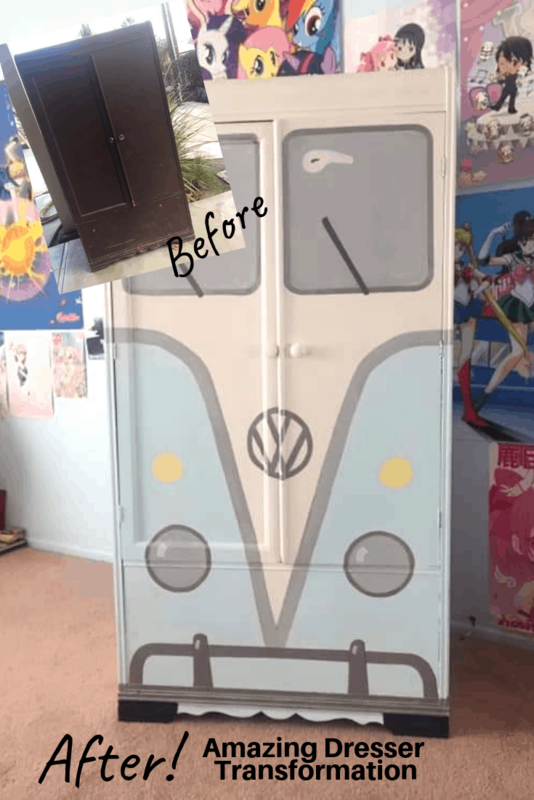 Lisa found a $12 armoire from Goodwill and totally transformed it using a VW for inspiration. Before throwing out old furniture consider what a difference upcycling, revamping or restoring it could make. People like Lisa who are super talented at upcycling furniture seek out old pieces that they can transform. For a mere $12 and the cost of paint, she has transformed this dresser/armoire into a unique piece of furniture which money can’t buy. After scrolling Pinterest Lisa decided on this ultra cool VW design. She was originally looking for a waterfall dresser but found this armoire which made the task of painting it more challenging due to the trim and details on the piece. Lisa said, “It really only took a day to do because I just went for it!” Lisa drew out the design before painting it. She plans on putting shoe storage on the inside of the doors for her daughters dress up shoes and hanging all her dress up clothes in it. Have a hunt around your local thrift stores to find treasures that are just waiting for a new life. Often the pieces that are destined for a massive transformation like this one are the most affordable. Look online and through Pinterest for design inspiration. Prep the surface or to make it really simple use chalk paints which require minimum prepping and then get creating.